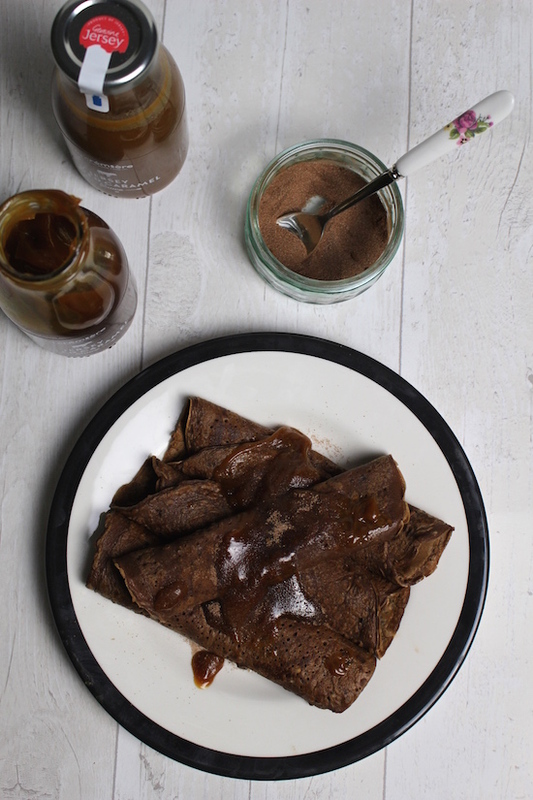 Emily's Recipes and Reviews | UK Food Blog | Leicestershire : chocolate pancakes with jersey salted caramel sauce. chocolate pancakes with jersey salted caramel sauce. There are just so many good foodie things happening soon. Pancake Day, Chinese New Year and Valentine's Day, which of course is an excuse to eat fancy food to make pink cocktails. Win win! 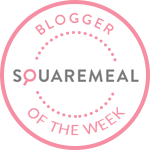 Today's post is all about Pancake Day, which of course is an excuse to eat pancakes for breakfast, lunch and dinner. Not just any old pancakes though, this recipe calls for indulgent chocolate pancakes with a hefty drizzle of salted caramel sauce. Giving up chocolate for lent? This is the recipe for you! Step one. Mix together milk, flour, cocoa powder and the eggs in a jug until combined. Step two. Warm a frying pan up to a medium heat. Add a little sunflower or vegetable oil. Step three. Pour in the pancake mix and swirl around the pan. After a few minutes, the underside should be cooked and ready for flipping! Serve immediately with caramel sauce. You can also make chocolate sugar by combining 1/4 cocoa powder with 3/4 caster sugar. Tip: If you're making a few, keep your pancakes warm on a very low heat in the oven. What recipes will you be flipping this Shrove Tuesday? Have you ever made chocolate pancakes? If you like these, you might also like my Bakewell tart pancake recipe from last year or this delicious easy pancake recipe from Sainsbury's! Wow! I never thought about adding something as simple as cocoa powder to pancake mix. These look like an absolute dream come true! Oh gosh, these sounds delicious! Goodness, they look so rich and delicious that I could just about dive in! I love this combination, that is my pancakes for this year sorted! The double dose of chocolate is too much for me but I'd love to try the sauce on regular pancakes. You had me at caramel. These do look scrummy! Wow that looks incredible. My favorite things, pancakes and chocolate. These pancakes give me life! Gosh! Just the simple addition of cocoa powder! Genius! I like cakes especially chocolate!